The improvements made in blackout curtains in the past 9 years have been significant in coverage, manufacturing and design. I say this because when I was looking for options while pregnant with my first child the options were slim. The Nicetown blackout back tab curtains are a style that check all the boxes of the three aforementioned categories. 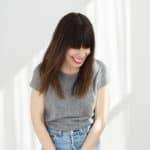 Read on to see if they are the right fit for you! Featuring a special triple-weave technology, the Nicetown blackout curtains are noise-reducing AND great blocking light. The Nicetown back tab blackout curtains come with two panels measuring 52” x 84”, include 7 back loops on each panel and are made with triple weave blackout fabric. They inhibit 85-99%of light and UV rays and are noise reducing, due to the “triple weave technology”. These curtains can be styled three ways: pleated, shirred (clip rings needed for this style) or the traditional hanging. The curtains come in three sizes: 52” x 63”, 52” x 84” and 52” x 95”. They are also available in 16 different colorways: baby pink, beige, blue, burgundy, cappuccino, fresh green, grey, greyish white, jet black, khaki-taupe, navy blue, olive green, royal purple, toffee brown, turquoise and white sheer. Simple installation, even with multiple display options, remove from package and choose your style of display (classic, shirred or pleated). If classic, slide the back tabs on the curtain on to the rod and move to your desired placement. If shirred, be sure to purchase clip rings, then apply rings to the curtains and slide rings through the curtain rod. If pleated, use the rod pocket on top of the curtain, this method will conceal the curtain rod completely. The Nicetown curtains were easy to install and remove in all display styles. If washing the curtains is necessary, machine wash in cold water and tumble dry. Iron on low heat or steam, when needed. Of the blackout curtains reviewed, this style is my top choice based on design. I like the different styling options, the color choices and the price point. The curtains don’t feel too hefty or too light. I have a fairly typical working schedule and work mostly during daylight hours, for that reason my blackout needs are not extreme. The Nicetown back tab blackout curtains were really quite great in our little bedroom space. I have one set of larger windows and they covered it perfectly without looking bulky or cheap. The grey color is neutral, yet still effective at blocking the sun’s early morning rays. It also kept our usually drafty room nice and cozy. One rule of thumb I live by in a house with two young boys and an old dog is that I try to not spend an exorbitant amount on necessities, the products no one really deems as “fun” purchase – like blackout curtains.The reason being that at this stage of my life nothing in my home is precious. Paws of all shapes and sizes are constantly exploring every surface. I like that I did not have to invest a lot in this item to get a good result. And, if something does happen, it is affordable enough to replace. In my opinion, the Nicetown curtains are a great option for a space that does not need extreme light blocking and where you want a few steps above the average or overly industrial looking blackout curtains. 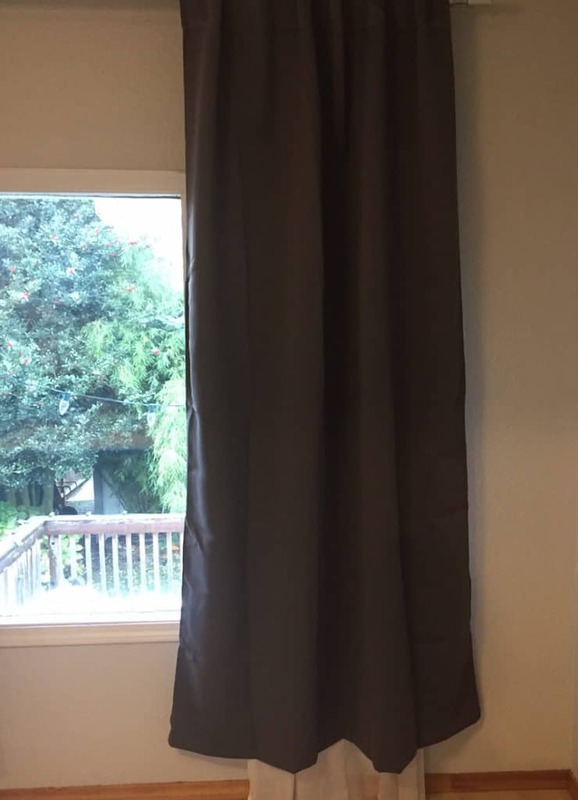 The 52” x 84”curtains are incredibly affordable, two panels can be purchased for $28. They are currently only available on Amazon. The positive reviews speak to the low maintenance aspect of curtains that look like they should cost much more. 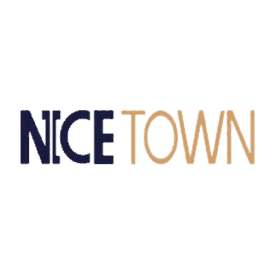 The cons of the the Nicetown curtains, according to reviewers, is the actual “blackout” that occurs (or for this customer, doesn’t occur). If you are looking for severe, midnight-invoking curtains, these are not for you. But, if you are looking for an affordable curtain that provides some coverage, has numerous presentation options and comes in an array of solid colors – the Nicetown curtains may be a great fit. 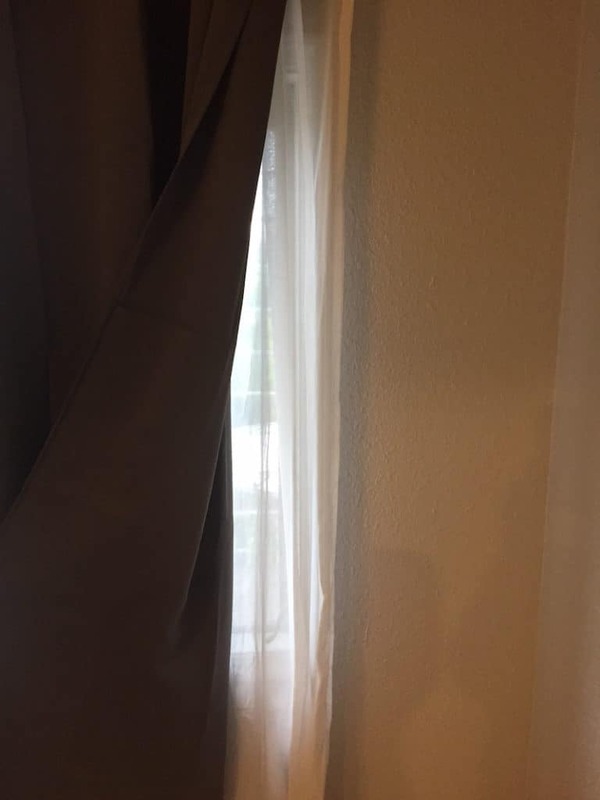 Though not dark enough for some customers, I found these curtains effective at keeping the light out as much as required for me and my family. Great for the bedroom of an adult or teen (because do you really want your teen sleeping until noon?). Design savvy people on a budget. I will use these curtains in my own room, and if anything happens to this set, I will happily replace them with another by the same brand. Ready to buy? 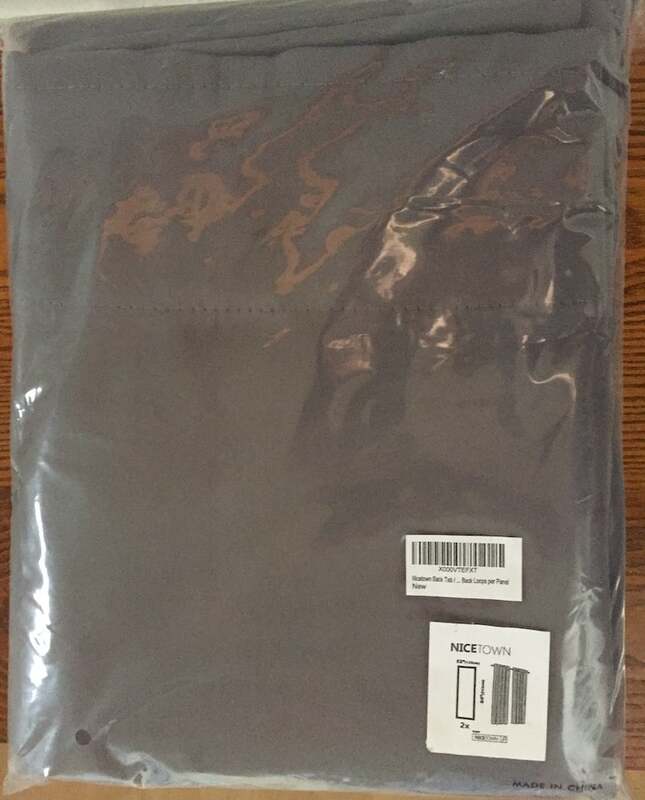 Get the Nicetown Blackout Curtains on Amazon!